Here are some common questions we get asked. If you don’t find an answer here, please feel free to contact us. At EarlyWorks we pride ourselves on quality support. You may find an answer to a question you have about EarlyWorks below. You can also access our comprehensive User Manual or feel free to Contact Us. EarlyWorks is an innovative early childhood education programming software application designed by industry professionals. Through collaboration with educators, managers, directors and owners of Early Childhood Education services, EarlyWorks meets the needs of educators, administrators and families. Why should I use EarlyWorks? EarlyWorks leads educators through the assessment and planning cycle, ensuring each child’s learning and development is assessed or evaluated as required by the Australian Children’s Education and Care Quality Authority. EarlyWorks also allows educators to link reflections of pedagogy to the Principles, Practices and NQS, as well as engaging in online discussions with other educators in their room about the effectiveness of the current program, thus supporting educators in being purposeful and thoughtful in their actions. In other words, EarlyWorks supports educators who are striving to exceed the NQS. The most likely reason your system is running slowly is a problem with your Internet connection. The first thing to do is run a speed test to determine if the problem is the connection. Google “speed test” for an assortment of online services that will calculate your download and upload speeds (e.g. http://speedtest.net or similar). If the speed test results are good, then the problem may be internal to your computer or device. There may be software running in the background (e.g. updates, backups, virus scans, etc.) that is interfering with your Internet connection which, in turn, makes your Internet experience appear to be slow. How to take a screenshot for support purposes? For support purposes, our staff may request that you send them a “screenshot” of a screen within EarlyWorks. The way you achieve this will depend on your computer and the operating system being used. The following article covers most situations – http://au.pcmag.com/software/42967/feature/how-to-take-a-screenshot-on-any-device. What learning frameworks does EarlyWorks support? EarlyWorks is pre-populated with the Early Years Learning Framework and the My time, Our Place Framework for School aged children. However, EarlyWorks can support ANY framework. Simply let our friendly support staff know which framework you require (QKLG, Te Whariki, EYFS & DM, Common Core Curriculum, etc) and we’ll set everything up for you. You can also customise the outcomes yourself, if required. I manage more than one service. How will that work? Easy. We can provide access to EarlyWorks for managers and educators who need to view and/or update information across multiple centres. Can families access and contribute to information on their children’s progress? EarlyWorks encourages and supports engagement with families. Families can be allocated a secure personal login which allows them to make contributions, suggestions and share information relating to their children. We offer phone and email support for any issue relating to EarlyWorks. We are always keen to assist and make sure services are getting the most out of EarlyWorks. We understand that making the transition from paper based documentation to an digital platform can seem daunting. 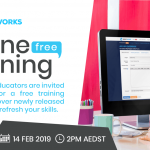 All new services are offered complimentary personalised online training to ensure all educators in every service are able to confidently use EarlyWorks regardless of their experience with technology. Will my data be safe and secure in the “cloud”? The security of your data is extremely important to us. Your login details are authenticated using best practice authentication methods. User passwords are not stored as clear text and are encrypted using industry best practice one-way Salt + Hash encryption. All application transactions are secured using Comodo 2048 bit SSL Certificate security. All EarlyWorks data is stored on dedicated (not shared) servers within Australia. Data backups are securely stored in three separate locations/states within Australia. We also diligently monitor both server and application logs, looking for anything untoward. Can I access EarlyWorks from my smartphone and/or tablet? Yes. EarlyWorks can be accessed via the website interface or by downloading the free native “app”. Can observations be completed on individual children as well as groups? Yes. You can flag an observation as either group or individual. Can I access the system offline or does it need internet connection? As EarlyWorks is cloud based it is necessary to have an internet connection. You will not be able to access this system offline. Who does the information belong to? All observations and documentation belong to the service. This is the same as children’s paper based files currently held by an individual service. It is possible for families to save or print their child’s images or observations whilst they have an active login. Services are also able to print child portfolios for families. Once a child or Educator leaves, their login needs to be made inactive. Can children’s files be transferred to another service? No, but it is possible for services to print individual child profiles which detail the child’s current learning, interests, knowledge, goals, etc. This is particularly useful to support children’s transition to school. Can EarlyWorks be accessed from home? 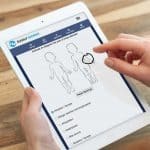 Cloud based access means that managers, educators and families can view a child’s progress at anytime, anywhere on any device connected to the Internet including tablets, laptops, desktop computers and smartphones. Can I upload information from other systems? Yes. EarlyWorks provides a simple data import facility allowing you to upload Child and Staff information as required. How do I provide continuing access to families of children leaving my service? You may be wondering how best to handle the situation where children are leaving your service but families still wish to have access to their child’s information on EarlyWorks. Ensure the family member’s Login Record is still active (using the Login Edit screen). Make the Child Record inactive (using the Child Edit screen). Ensure the family member’s Login Record is still linked to the Child Record made inactive in step 2 (using the Family Logins tab on the Edit Child screen). Remove the link between the family member’s Login Record and the Child Record being made inactive (using the Family Logins tab on the Edit Child screen). Make the family member’s Login Record inactive (using the Login Edit screen). Make all of the family member’s Child records inactive (optional – using the Child Edit screen). Remove all links between the family member’s Login Record and any existing Child Record (optional – using the Family Logins tab on the Edit Child screen). If you don’t remember your password, click the “Forgot your Password” link on the EarlyWorks login page. You will then be emailed a temporary password which you will need to change the next time you login. I am an educator as well as a parent. How do I log in as a parent? As your email account is your identity on EarlyWorks, you will need to have a different email account when you log in as a parent. We suggest opening a free email account (Gmail, Hotmail, Outlook, etc.) to use as your parent login. My keyboard lags when entering text? This appears to be an issue with the Google Chrome browser. Open the ‘3-bar’ drop down menu at the top-right of the Chrome Window, select Settings >Advanced Settings and then unchecked the “Use hardware acceleration when available” box near the bottom of the page. Can I upload videos to EarlyWorks? Yes, but just remember that most modern smartphones and tablets will record video at a quality that creates a large file. Even a 10 second file may take up 20Mb or more. We recommend you download a video compressor app (there are quite a few available) and compress your file to a size less than 4Mb before uploading to EarlyWorks. I want to start using the revised NQS Standards and Elements. How do I do that? To support Services transitioning to the new National Quality Standards and Elements, we have made some minor changes to EarlyWorks. These changes are available now but may not impact your Service immediately as the timing and nature of your transition will depend largely on your Service’s individual circumstances. Services can now select from one of three “NQS Standards and Elements” options available from the Maintain > Settings screen. Pre 1-Feb-2018 is currently the default option. With this option, all NQS Standards and Elements displayed throughout EarlyWorks will relate to the Standards and Elements of the existing QIP template. If you select the Post 1-Feb-2018 option, all NQS Standards and Elements displayed throughout EarlyWorks will relate to the Standards and Elements of the Revised 1st February 2018 QIP template. If you select the Pre and Post 1-Feb-2018 option, both the existing and revised NQS Standards and Elements will the displayed. This will allow you to generate two versions of the QIP and QIP Evidence List. Some Android devices may include the option to open PDF files and other documents in “EarlyWorks” along with other applications such as PDF viewer, etc. It is important that you DO NOT select EarlyWorks to open these documents. You may have accidentally selected an option to open or always open these documents in “EarlyWorks” instead of an appropriate viewer. This may cause your device may become non-responsive. Always open documents using an appropriate application. Make sure “Go to supported URLs” is set to always ask. Most importantly, next time you attempt to view/open a document ensure you select the appropriate “open with…” option (e.g. PDF viewer), but NOT EarlyWorks.